Vinci Airports signed the agreement on the concession of the Belgrade Nikola Tesla Airport for 25 years on March 22, 2018. The total nominal value of this transaction is around EUR 1,46 billion (EUR 1,461,508,000), including a one-off compensation, minimal annual concession fees and capital investments. The agreement was signed at the Palace of Serbia by Deputy Prime Minister and Minister of Construction, Transport and Infrastructure Zorana Mihajlovic, CEO of Vinci Concessions and President of Vinci Airports Nicolas Notebaert, Massimo Bruzzo of Vinci Airports Srbija and the acting director of the Nikola Tesla Airport, Sasa Vlaisavljevic. The signing was also attended by Ambassador of France to Serbia Frederic Mondoloni. The agreement on the concession of 25 years entails financing, management, maintenance, expansion and extension of the current terminal and runway. Vinci Airports has offered a one-off concession compensation in the amount of EUR 501 million. The payment will be made through dividend: EUR 417 million for the Republic of Serbia and EUR 84 million for small shareholders. During the concession, an annual fee will be paid as well. The minimal annual concession fee will range between 4.4 and 15.1 million euros. The completion of the transaction and the transfer of the airport operator certificates, that is, the beginning of the operations of Vinci Airports Srbija d.o.o. as the airport operator, is not expected to take place before September 2018. That’s when the one-off compensation is to be paid as well. The international tender for the concession of the Belgrade Airport opened on February 10, 2017, and was carried out through the phases of qualification, non-binding bids and binding bids, and the decision was made on January 5, 2018. The global operator Vinci Airports develops, finances, builds and operates in 35 airports on seven countries on three continents (12 airports in France, 10 in Portugal, two in Japan, six in the Dominican Republic, one in Chile, one in Brazil and three in Cambodia). At its airports, the company had a total of 157 million passengers, revenues of EUR 1.4 billion and a growth of total traffic by 12.4% in 2017. Vinci Airports primarily sees the growth of the Nikola Tesla Airport in the form of the development of an air transport hub in the Balkans, with the planned development of up to 14.74 million passengers in 2043 and 120 thousand operations. As Beta reports, Nicolas Notebaert expressed gratitude to the Governemnt of Serbia for “the transparency of the process of selection” and for putting great trust in the company. 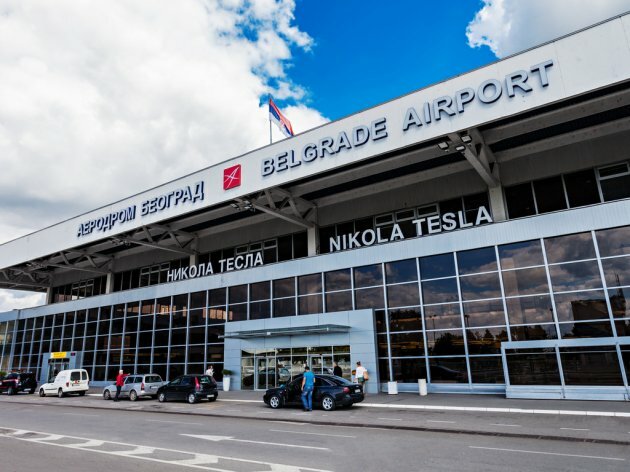 He said that the Nikola Tesla Airports was “very well positioned” and that the aim was for Air Serbia to launch more services. – Belgrade will be our leading airport in this part of the world. We will launch Lisbon and Chile services – Notebaert said. – We are sure that the Nikola Tesla Airport has a strategic importance for your country. We wouldn’t be here if we didn’t believe in the airport’s strong potentials. We also believe in the great potential of Belgrade as a tourist destination – Notebaert said.